Glass fiber can begin to crystallize and become very fragile over time at elevated temperatures. 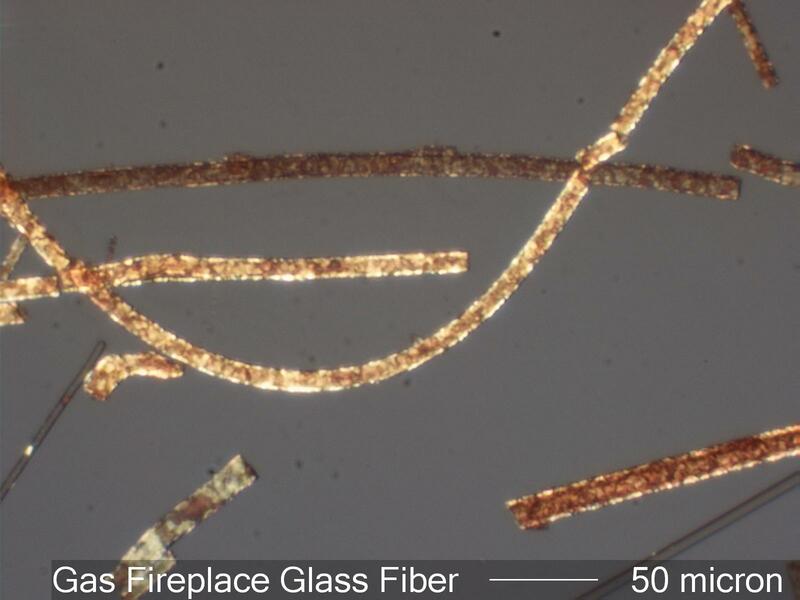 In this photograph glass fibers that have crystallized and smaller glass fibers that have not crystallized are both evident. This sample was collected from a natural gas fireplace. Fibers like these were found on living room surfaces in this home.